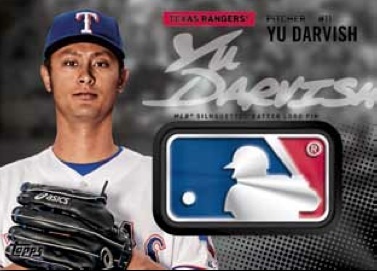 It may be February, but 2015 doesn't officially start until the arrival of 2015 Topps Baseball on Wednesday. Each of the 350 cards in the Series 1 base set will have eight parallels including a one per case NEW silver-framed parallels that have a metal frame. Found one per Hobby case or one per Jumbo Box ($99.95) are three different relics: 1) The MLB Silhouette Batter Logo Pin card, a metal logoman card. 2) Future Stars Pins showcasing 10 players with the 1987 Future Stars Logo and limited to 99 copies per player on its vintage parallel. 3) The Birth Year Coin & Stamp cards with five versions - a quarter, quarter with auto, a dime, a nickel and a penny version. Exclusive to Hobby and Jumbo packs are eight different sets of Autographed Relic Cards. These cards will be rare and sure to be in high demand. For standard autographs there are 10 sets to chase, including 1/1 Baseball/History Cut Signatures and 1/1 Strata Cut Signatures. Relic Themes include Career High, Archetypes, Highlight of the Year, Inspirations Duals, Gallery of Greats, Baseball/History Stamps, Free Agent 40, World Series Champions and Postseason Performances. These will be limited to no more than 100 copies with some only found in Hobby or Jumbos. The chase continues with 1/1 In the Name Relics with letters from the players' MLB All-Star Workout Jerseys. Also due in Wednesday is 2014 Topps Fire Football with 2 Autographs and 2 Relics ($86.95 per box). The base set has 100 current stars and retired greats, and 50 Rookies. With 24 packs per Hobby Box, every pack has at least 2 parallels (Fire Wood - one per pack, Flame Foil - one per pack, Purple #/499, Blue #/299, Green #/99, Gold #/50, Onyx #/25, and Red 1/1). In addition to the Autographed Rookies, 50 Veteran Autographs come in varying quantities. Also, Dual Autographs (#/25) and Triple Autographs (#/15) combine a rookie with veteran signers. To add to the chase, Rookie Autographed Patches come with parallels which include a variety of 1/1 swatches like Nike Swooshes, Laundry Tags, and NFL Shields. Dual (#/10), Triple (#/5) Autographed Relis come with signature and swatches from multiple players and included 1/1 Patch parallels. 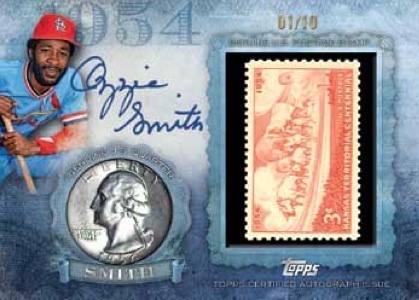 Relics include many themes with a 1/1 Red Parallel as a CASE HIT. And to add to the "Fire" Theme, a ten card "Ring of Fire" Set (1 card per 20 packs) features players who have won at least one Super Bowl. 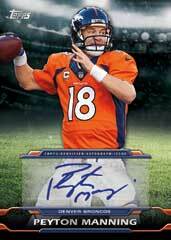 2014 Contenders Football (still ONLY $130 per box) is the favorite with all our customers. Everyone came to "The Factory" looking for Contenders Football Super Hits for our "$100.00 Contenders Football BEST PULL Contest. Marcos with his Odell Beckham Variation 2 Autographed RC was declared our $100.00 Winner. This card is so rare, only 3 have been listed on eBay. It wasn't just 2014 Contenders Football producing the Super Hits at "The Factory." Leland decided 2014 Bowman Football (only $75.95) with 5 Autographs per box was a Super Deal. Here is Leland with his Odell Beckham 2014 Bowman Gold Refractor Auto RC #d/75. Our third pull in our store. Rick came in for our 2014 National Treasures Box Group Break ($59.95 per spot and every spot gets one card from a Factory Sealed Box. Spot 1 gets the top card and the last card.). While he was here, Rick decided to try a box of 2013 Panini American's Pastime ($129.95 per box) and pulled this Stephen Strasburg & Mike Trout Autographed Book #d/5 and Triple Relic of Lou Gehrig, Albert Pujols and Manny Machado. William knows The BEST CASES in The Hobby are at Sports Cards Plus. Here is will with HIS SECOND Peyton Manning 2014 Crown Royal Autographed Silhouette Jersey Patch #d/18. This makes THREE pulled in our store. And, The Legend of The Super Hit Factory continues. Brad decided that Super Hit Factory CASE of 2013 Panini America's Pastime still had more great hits. Here is Bad with his Mike Trout Autograph #d/25 and 1/1 Yasiel Puig Bat Knob. Yes, this could have been your picture if you picked your box from Sports Cards Plus. Be like Brad. Go to Sports Cards Plus TODAY and continue The Legend. We lost count of all the Super Hits from 2014 Contenders Football. We had all kinds of parallel auto RCs, #d/99, #d/49, #d/10, and a few 1/1s. My best estimate is we had 8 Odell Beckham Autographed RCs, 14 Sammy Watkins, 10 Blake Brotles, 6 Johnny Manziel, 8 Teddy Bridgewater, 12 Jimmy Garoppolo, with a sprinkling of veteran stars and legends like Joe Montana 1/5, Tony Romo, and more. Here are some of the pictures below.